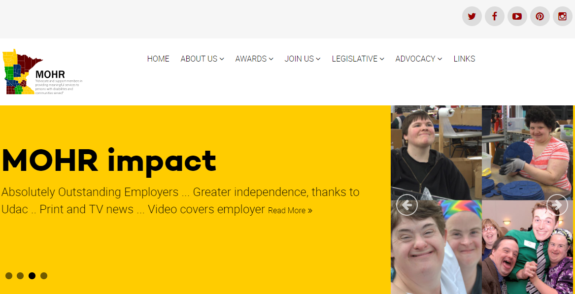 Fraser is a Minnesota-based nonprofit that serves children and adults with special needs through education, healthcare and housing. Fraser Career Planning and Employment is a set of specialized services for work or college-bound adults with executive function challenges, including those on the autism spectrum. Each Fraser client will start with the Employment Intake Assessment, and develop an individualized profile and a customized support plan. These tools can enhance career and employment outcomes. Established in 1971, Rise supports people who have disabilities and other barriers to employment and housing in attaining their personal measure of vocational achievement, safe and affordable housing, self-sufficiency, and belonging in their communities. Rise offers more than 40 customized vocational training, employment, job placement, and housing support programs throughout the Twin Cities, Central and East Central Minnesota areas to assist people in reaching their goals. Address: 8406 Sunset Rd; Spring Lake Park, MN 55432 Website: www.rise.org Phone: (763) 786-8334 TTY/TDD: (763) 786-8334 Fax: (763) 786-0008 Facebook: Rise, Inc.